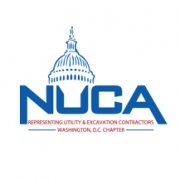 Due to the inclement weather forecasted for tomorrow, the NUCA of DC Monthly Safety Meeting scheduled for 3/22/18 will be cancelled. The presentation by Jim Kopernick of MAP Drug Testing on the newest technologies and methods of testing, and YOUR company’s policy vs liability will be rescheduled for a future meeting. MCLEAN, Va., Jan. 29, 2018 – Law firm Watt, Tieder, Hoffar & Fitzgerald, LLP is celebrating its 40th anniversary of providing legal services to clients. On January 28, 1978, the firm began modestly with six lawyers specializing in construction, government contracts, and surety law. Over the years, the firm has added offices in Irvine, Calif., Seattle, Chicago and Miami, in addition to its original office in Virginia. While continuing to specialize in the above practice areas, the firm also represents clients in the areas of commercial litigation and creditor’s rights. Watt Tieder has represented clients in courts, arbitration and in administrative forums throughout the United States and internationally. The firm and many of its lawyers have been honored by such publications as Chambers & Partners, Best Lawyers, Super Lawyers and Legal 500. The firm has twice been recognized as the top construction law firm in the United States by Chambers and Partners. Paradigm Contractors, LLC is accepting bids on behalf of Urban Atlantic for the Walter Reed residential project, referenced as WVU, scheduled to start construction the 2nd or 3rd quarter of 2018. CBE contractors and suppliers are encouraged to participate. Bids will be accepted through 1/18/18. If you are interested in bidding or finding out more about his project, contact Cristina Morales at cmorales@paradigmcos.com. MDOT’s Office of Minority Business Enterprise conducts a free monthly workshop for firms interested in applying for certification as a Minority Business Enterprise (MBE), Disadvantaged Business Enterprise (DBE), Airport Concession Disadvantaged Business Enterprise (ACDBE) and/or Small Business Enterprise (SBE). For additional information visit MDOT Website at www.mdot.maryland.gov/certify. For questions, email mbe@mdot.maryland.gov or call (410)865-1269. **Security Policy: All visitors must present a valid Driver’s License or U.S. Passport in order to gain access to the building. WASHINGTON, DC – The Bureau of Labor Statistics’ Census of 2016 Fatal Occupational Injuries reports there were 5,190 workplace fatalities in 2016, a 7-percent increase from 2015. The fatal injury rate also increased from 3.4 per 100,000 full-time equivalent workers in 2015 to 3.6 in 2016. PEPCO will no longer sell materials for service connections or work in public space. If you have any questions, PEPCO advises you to contact your Distribution Engineering Representative for the list of new suppliers.